The Wolfram Data Summit is an invitation-only, high-level gathering of innovators in data science, creators of connected devices, and leaders of major data repositories held annually in Washington, DC. This summit offers Executive Officers, CTOs, and other thought leaders an opportunity to meet, share insights into their work, and discuss challenges and opportunities facing the worldwide data community. In order to defer some of the cost for the Summit, there is a standard registration fee of US $545 (government/education participants receive a reduced rate of $345) this year. We currently plan on a full day of talks and panel discussions, along with a dinner, on September 4, and additional sessions on September 5, ending in the late afternoon. We will gladly provide special needs accommodations under the ADA. If you require any special accommodations, you must provide them in a statement of need in writing at least 60 days prior to the Summit. 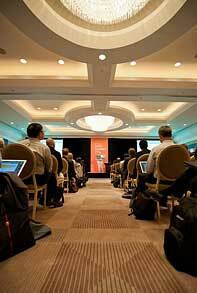 Written statements can be sent to events@wolfram.com. Any cancellation of these services should also be made in writing no later than 30 days prior to the Summit. 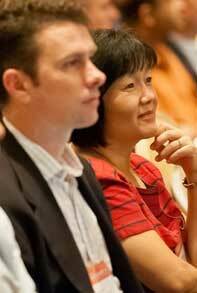 Participants who wish to make literature or promotional materials available to other attendees should contact us at events@wolfram.com. Can I get presentations from previous Summits? / Are sessions recorded? 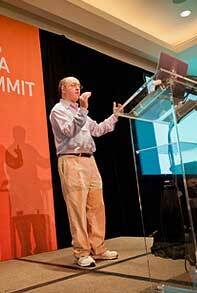 Presentations are available for talks from the 2010, 2011, 2012, and 2013 Data Summits. Select talks will be recorded from the 2014 Data Summit.